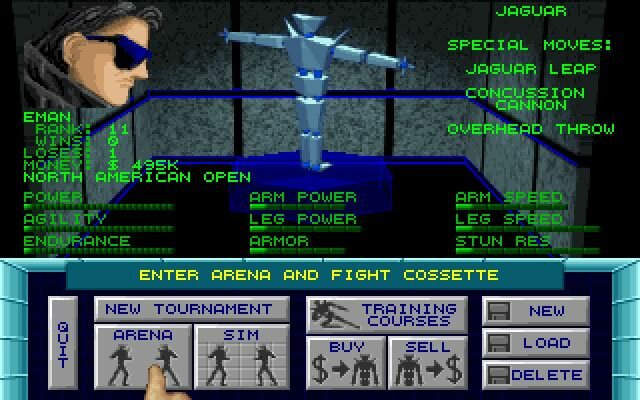 Diversions Entertainment developed the DOS science fiction action game One Must Fall 2097 in 1994. 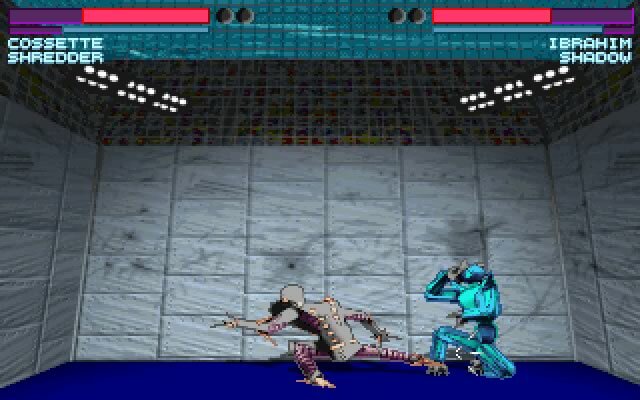 One Must Fall 2097 is currently freeware, runs on DOS and can be played in single player, multiplayer (Modem) modes. It's available for download. "There was a time when brawlers on PC weren't that common. 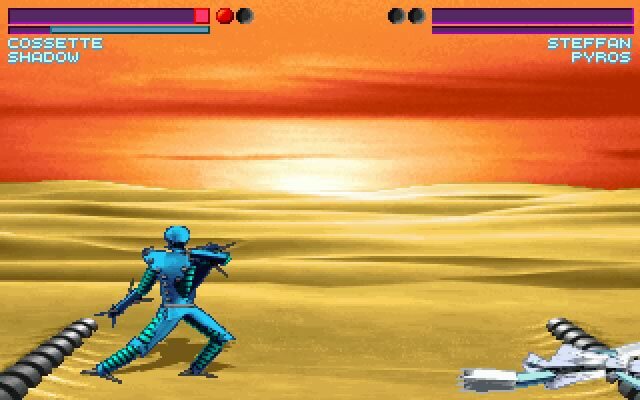 Not that today it's different, but finding a good brawler "versus" fighting game was really difficult. 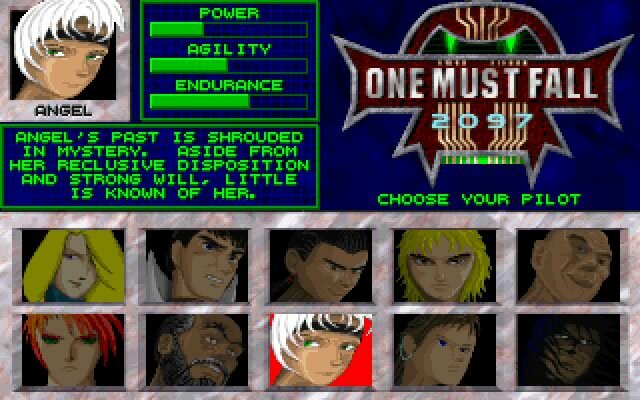 One Must Fall was one of those games: a perfect blend of everything a brawler needs to be. I finished One Must Fall in a few days, not because it's easy, but because it's extremely captivating, the kind of game that glues you to the chair for "one... more... 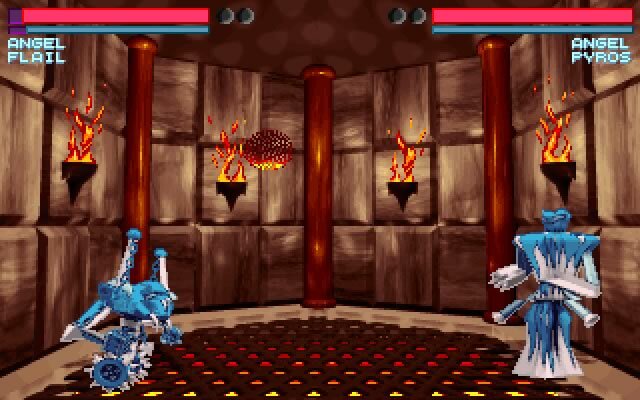 fight...."." 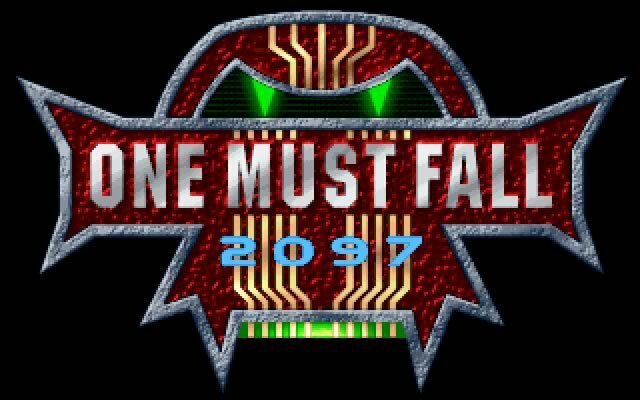 Tell others what you think about One Must Fall 2097: did you play it? Did you like it or hate it? 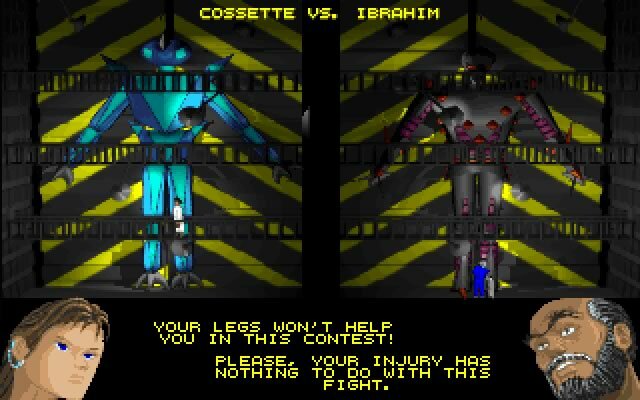 If you have problems running One Must Fall 2097, please read the F.A.Q. first. Your e-mail will NEVER be used for spam. 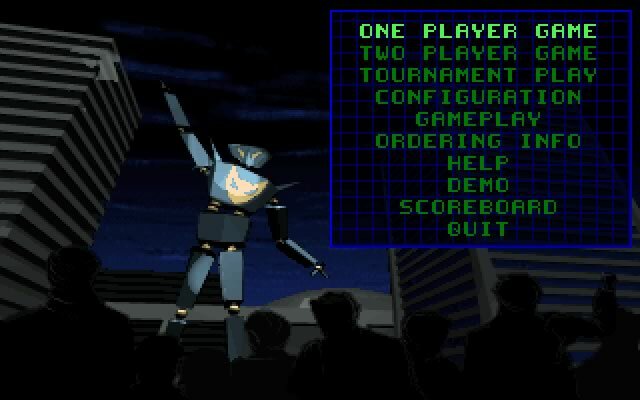 In addition to the full game, the full retail version also includes shareware versions of Radix: Beyond the Void, Tyrian and Jazz Jackrabbit, of which the game also features secret characters.